Tract #11 has a seasonal creek system running through the entire interior of the property providing a perfect environment for hunting. 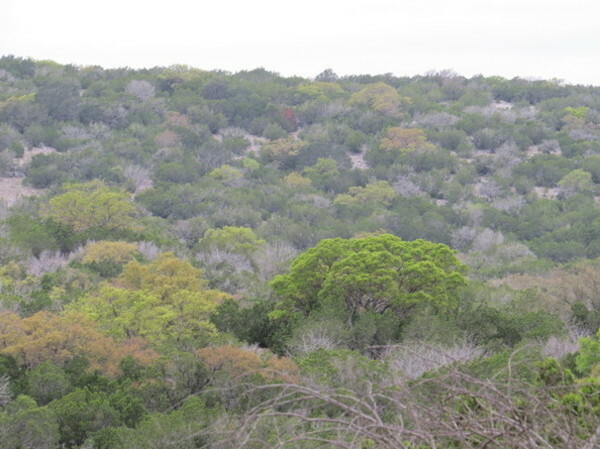 The tree cover that accompanies this creek system makes it the most diverse area on the ranch with the most potential! Buffalo Draw Ranch is located 15 miles south of Rocksprings off Highway 377 on County Road 450. This is typical Edwards County terrain with rolling hills intersected by ravines. The cover on the ranch consists of live oak, pinon pine, cedar and hackberry trees along with the native brush and grasses of the area. This is a superb hunting property with whitetail deer, free ranging exotics including axis deer and aoudad, feral hogs and turkey. There is electricity available to half of the tracts on the ranch. With some elevations over 2,300 feet Buffalo Draw Ranch also offers endless views of the Texas Hill Country. Owner financing is a vailable on all property in the ranch with as little as 5% down for up to 30 years. We are now taking deposits for an option to purchase a tract in the ranch. When the final plat of the ranch is approved by the Commissioners Court and filed in Edwards County you will be able to enter into a contract to purchase a tract. Call or email today for more details. Tell me more about this property, 80 Acres With Seasonal Creekbeds- $188,000, for sale.